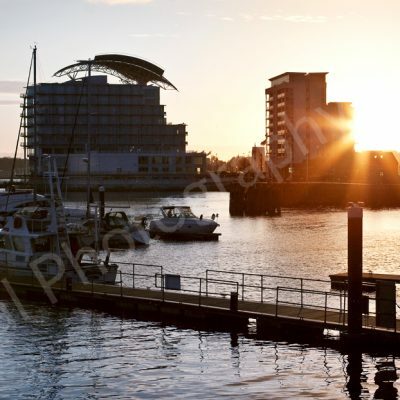 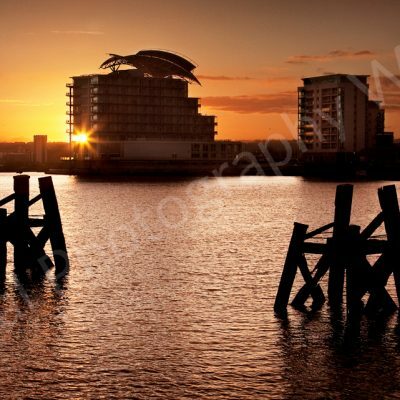 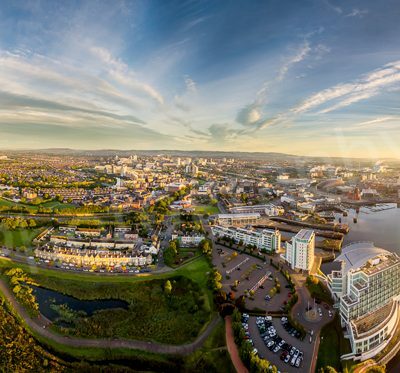 Bay sunset, Cardiff Aerial Photograph. 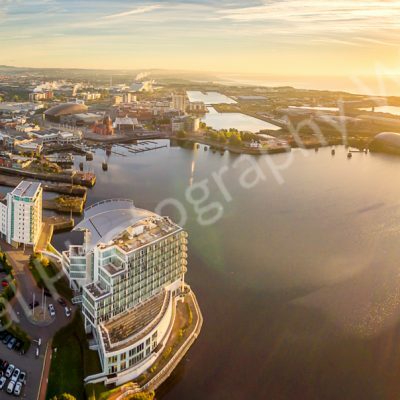 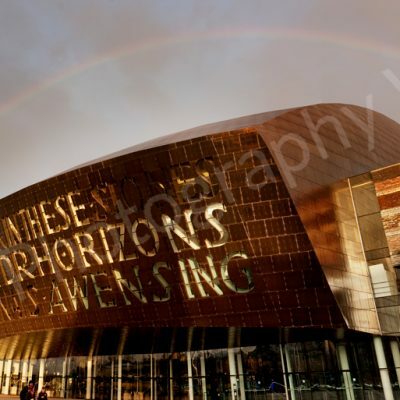 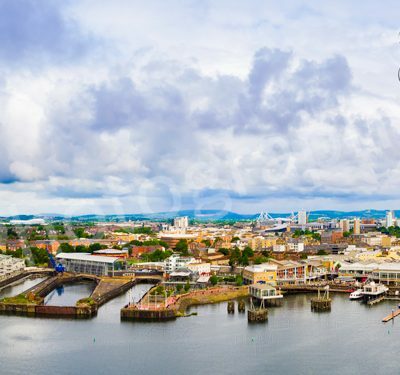 Cardiff Bay panorama Aerial Photograph. 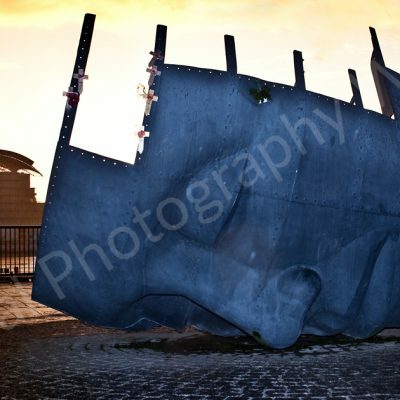 Seamen memorial, Cardiff Aerial Photograph.